They walked hand in hand down the narrow path as it wound between the brambles and golden prairie grasses. "These aren't my normal hiking shoes," Kaitlyn joked as she nimbly followed Austin down a twisting, rocky hill. The Texas air was cold, but the sun and her smile shined bright—the cold was no matter, this was just another fun adventure. Their journey began in high school, when his little sister's friend caught Austin's eye. 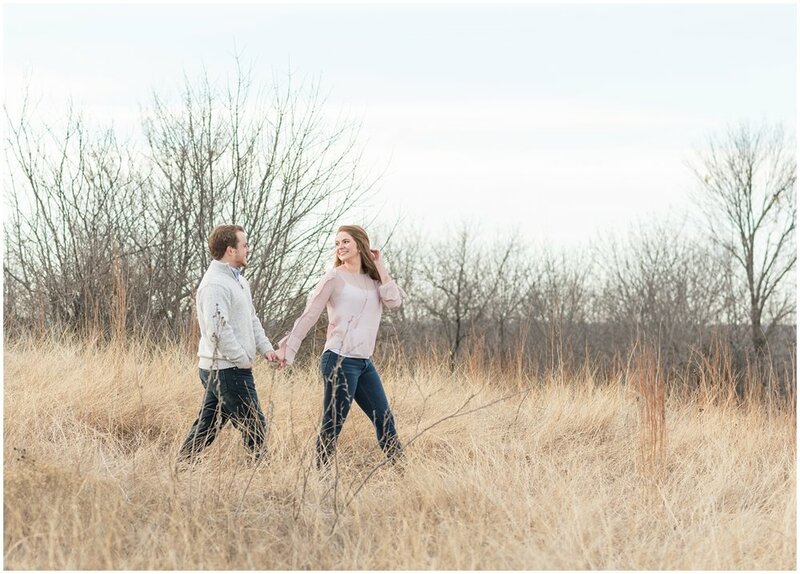 Since then, he and Kaitlyn have navigated long-distance college relationships, demanding careers, life together in Texas and the Colorado wilderness, all with the easygoing playfulness of two teammates up for whatever comes their way. 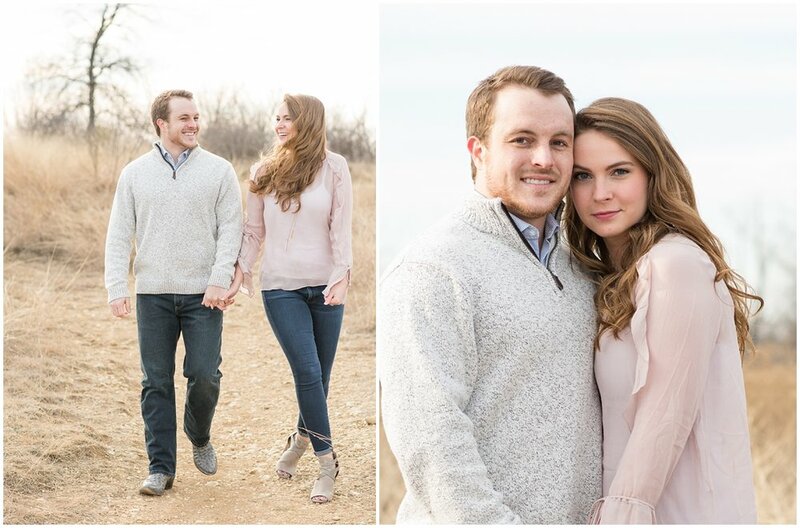 Their latest adventure began at Eagle Mountain Lake the turn of the New Year. When the New York City ball dropped on screen, Austin asked Kaitlyn to be his wife, surrounded by their friends and family toasting the new year and the happy couple's new beginning. 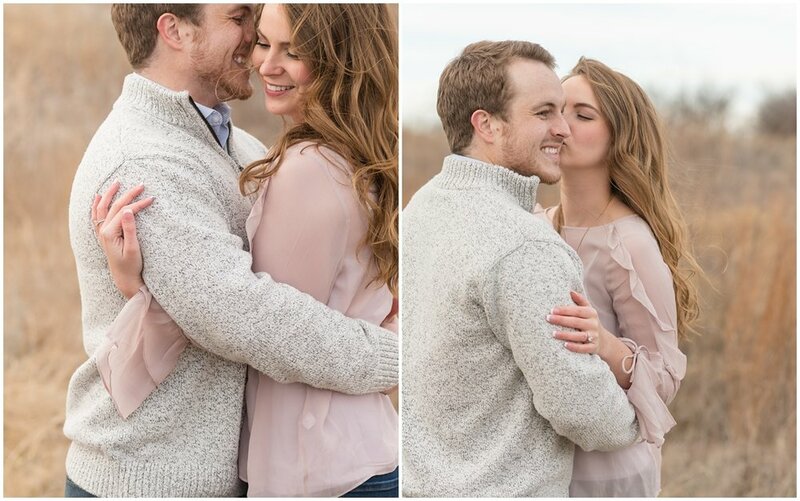 At their engagement session, these two were right as ease together in front of the camera! 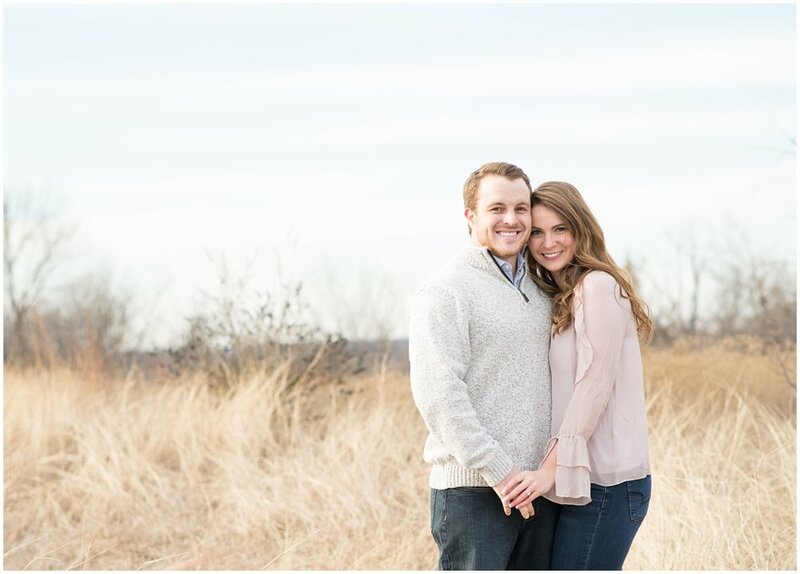 In a quiet field with the Fort Worth skyline just barely in view, Kaitlyn and Austin giggled and laughed, snuggled and smiled. They were alone in the field, but crowds wouldn't have mattered—they only had eyes for one another. Kaitlyn and Austin, thank you for a wonderful evening! 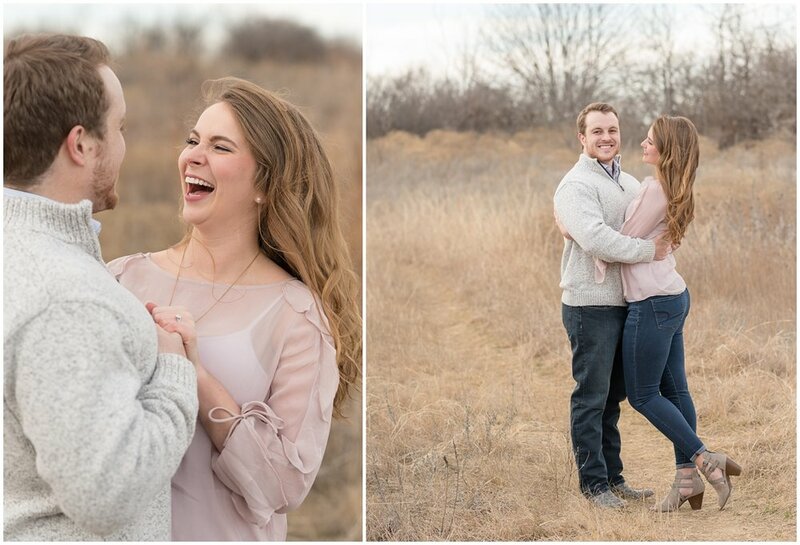 I hope you love your engagement photos as much as I loved taking them. Plus, fun couples like you make my job easy and so much fun! 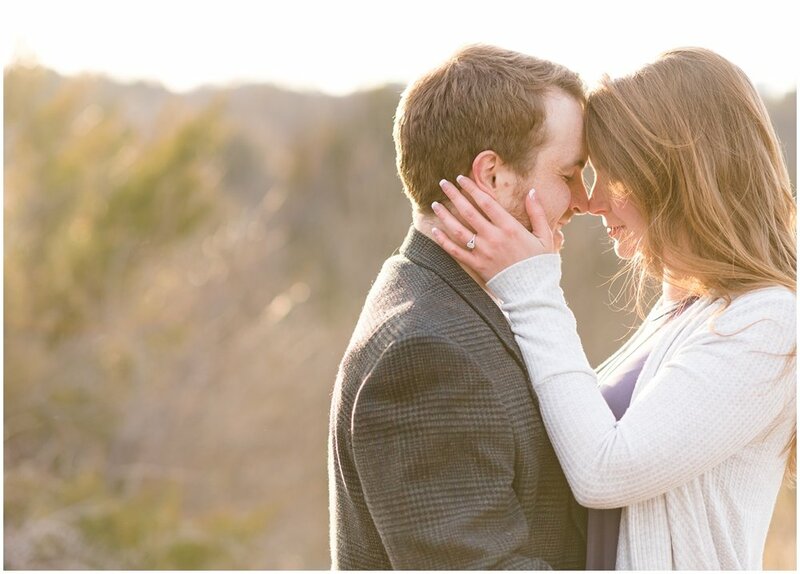 The "fiancé season" of your lives is a magical time, and I'm honored to be the one to capture it for you. 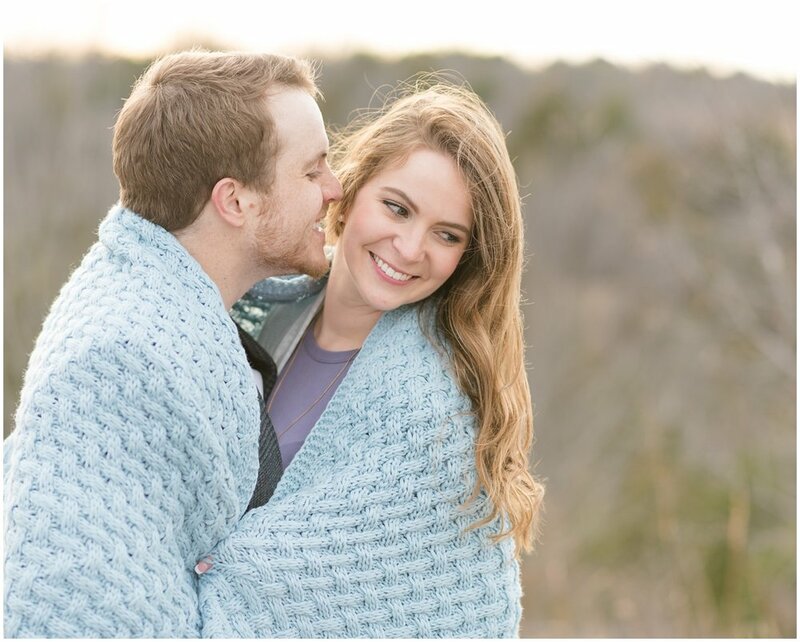 I have so many new favorites from our time together, and each one has me more and more excited for your October wedding! Every couple has a love story. 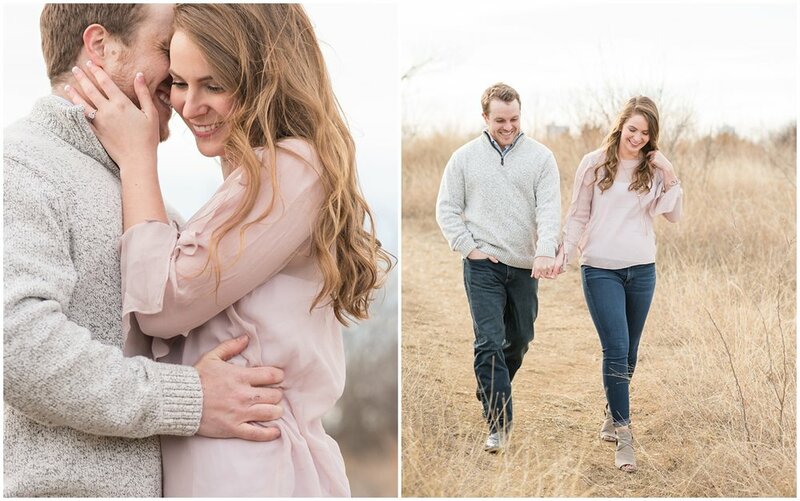 Capture yours in timeless, joyful portraits—contact me to start planning your session today!